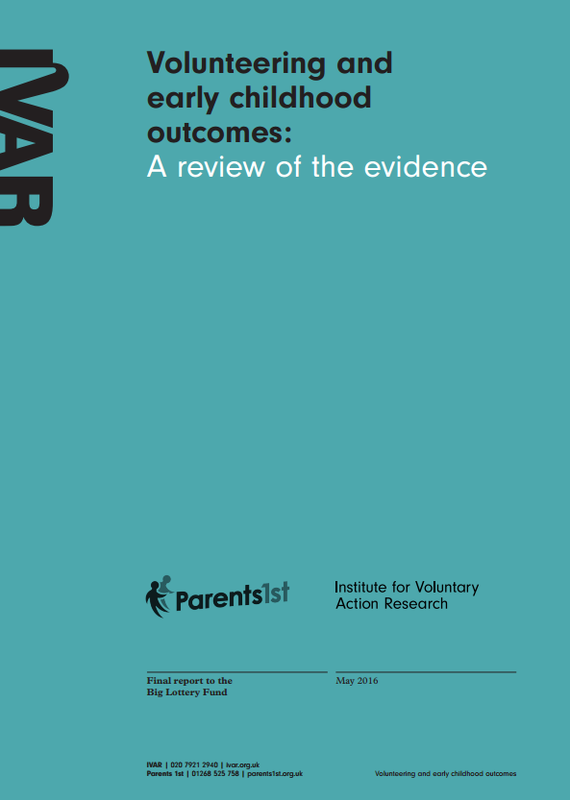 This evidence review was researched and written for the Big Lottery Fund by Parents 1st and IVAR. In 2015, the Big Lottery Fund commissioned Parents 1st to carry out an evidence review exploring if and how volunteering, peer support and ‘community champions’ projects can support the three A Better Start (ABS) child development outcomes. In addition Parents 1st were asked to create a framework and tools to support organisations and projects to develop and deliver volunteer projects. This review is intended to support the five ABS voluntary sector-led partnerships to design, develop and implement programmes of science and evidence-based services to improve outcomes in pregnancy and early life for children aged 0-3. The learning from this evidence review can be applied in multiple fields of practice and is not just relevant to early child development. The key messages in the report are applicable to anyone who works in a volunteer project, whether as a volunteer or staff member; a health or social care professional interested in how volunteer projects fit with what you do; or as a public health or children’s services commissioner or a funder thinking about how to support volunteer projects. Each message can be traced back to the evidence in this report, and was judged to be important following workshops with all five ABS partnerships.